How old is this clock and how much is it worth? Hi there, I recently acquired this clock at a flee market. However, I have no idea how old it is, the only thing I know is it's made by William L. Gilbert, USA company. 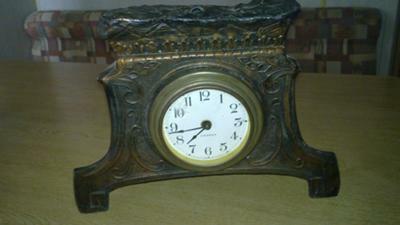 Can any one give me some more info on this clock.